And so we came to this day. 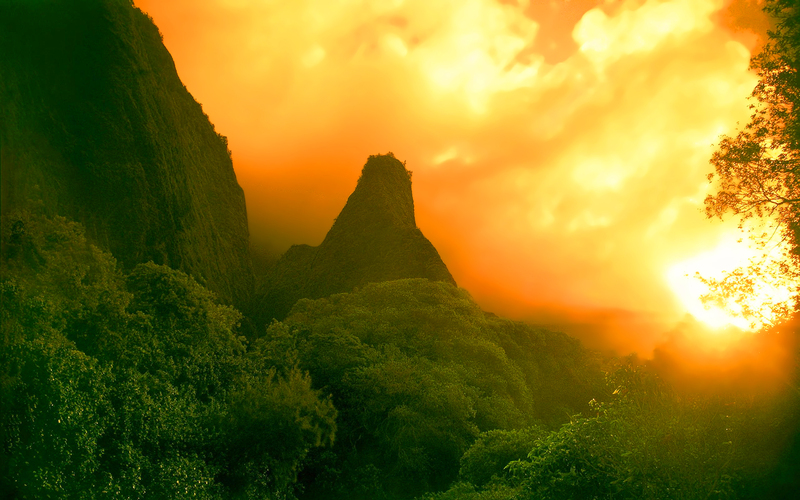 A global climate treaty has finally been agreed upon by 195 participating countries. World leaders and many activists are celebrating these happy news – in a political year which have not contained much of these. This treaty represents a morale booster for the western countries – France in particular – which have consistently failed to handle the Ukraine crisis, overthrow Bashar al-Assad in Syria or save the Schengen Area from an implosion caused by the refugee crisis. The climate treaty should be understood with regards to the failure to manage other crises – if political leaders consistently are mishandling – or perceived as mishandling – crises, their prestige will suffer. If such failures erupt more and more frequently during several administrations, the public morale will decrease and thus the support amongst the masses for the legitimacy of the establishment will weaken. This created an atmosphere which saw it as paramount that a new treaty would come in place, not only because that the environmental situation is getting more dire, but also because of the aforementioned crises and the needs for political leaders to come back from Paris with successes. While 1,5 degrees indeed is an ambitious goal, especially as the treaty has arrived so late in the process since this issue became one of global importance. The purpose of this article is to study the climate treaty in the context of antropogenic global climate change as well as our current socio-economic system, and to discuss some of the actions that can be done to reduce the impact of warming. The greenhouse effect is not – as you probably know – something sinister brought by our tampering with the environment, but a part of a natural process. For the last few million years, our climate has gravitated between warm periods and ice ages. The release of CO2 from fossile sources has shifted this balance towards a warmer climate, but the cycle is still existing. The threats against human civilization are manyfold and serious, and require responses and sacrifices which currently are politically impossible to advocate. The Paris Treaty consciously leaves a lot regarding implementation to be decided by the signatory powers. Ultimately, we need to focus on more issues than emissions, one of the most pressing being the protection and expansion of the world’s woodlands. The climate of the Earth is regulated by many factors – the distribution of continents and oceans, tectonic activity, internal heating, the intensity of solar flares, the tilt of the Earth’s axis, the amount of vegetation and the greenhouse effect. The greenhouse effect is the name for a process whereas heat from the Sun is trapped under the Earth’s atmosphere and serves to heat up the Earth. Without it, multi-cellullar life on Earth as we know it would be impossible, and the Earth would have frozen to an ice planet aking to Hoth in Star Wars. The Greenhouse effect is not caused by humans, but something which has existed since time immemorial. It allows heat from the Sun to warm up the surface of the Earth. Neither is it unique for the Earth, both the other rocky planet’s in the Sun’s Goldilock zone have greenhouse effects, though the greenhouse effect is very weak in Mars and extremely strong in Venus. The greenhouse effect has also varied under different aeon’s and geological periods during our planet’s turbulent history. 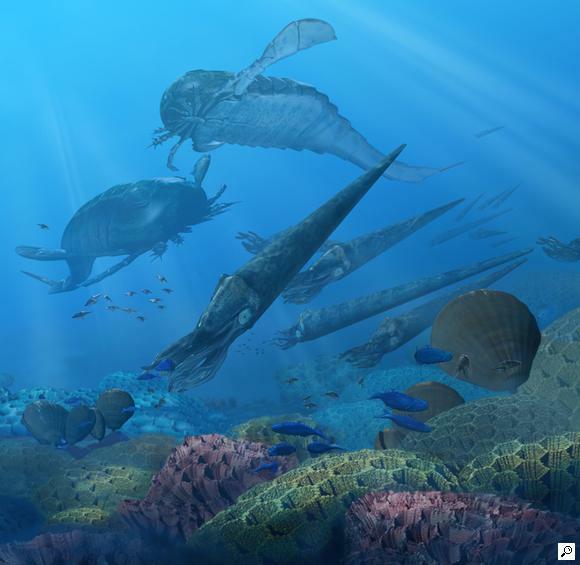 During the Silurian era, prior to the Cambrian explosion, the Earth was for thousands of millennia covered by ice. When the Dinosaurs roamed the Earth, the planet was so warm that there were no permanent polar ice caps, and the climate was fairly stable with few fluctuations. In contrast, the Eocene and Paleocene eras have been dynamic and unstable in regards to the planet’s average temperature. During only the last two dozens of million years, multiple ice ages have seen sheets expand over the hemispheres, the Mediterranean have evaporated several times, leaving a salt desert between Europe and Africa, and the sea levels have shifted hundreds of metres, often within just years. The Flood myths described in numerous holy texts may have a foundation in reality as several events during the stone age led to the rise of sea levels and (probably) massive floods. The human civilization, established in the river valleys of the Nile, of the Euphrates and Tigris, of the Ganges, Indus and the Yangtze, and developed into today’s global civilization, was starting to form following the end of the last global Ice Age. From the latter half of the 13th century, the warm period reached its peak, and then the planet’s cycle started to move towards an ice age again. From the 1860’s and onward until today, this trend towards a colder climate first stalled and then reversed – today proven to be caused by human intervention due to the burning of coal and oil. By altering the amount of carbon-dioxide in the atmosphere, we are strengthening the effects of the greenhouse effect and therefore increasing the Earth’s average temperature gradually, though at a higher speed than previously done. This will not mean that we won’t have cold winters any more, or that temperatures in some regions cannot actually can become colder over time, but it means that we are shifting and altering the Earth’s climate cycle towards on-average warmer temperatures. Such a climate alteration will have effects on crop harvests, monsoon rain patterns, sea currents, vegetation and species, and also on the Greenlandic Ice Sheet – the last large remnant from the recent Ice Age. If it partially or completely collapses, which can happen within a few centuries, it will affect the sea levels of the Earth globally, drowning coastal areas, amongst which are some of the most populated regions on Earth. Another single factor that can create havoc for human civilization globally, is the end of the Himalayan glaciers. They supply the great rivers of India and China with water, and if they melt there could be a permanent shift of these regions towards a drier climate, which would increase the cost of living. The Middle East could become more dry, as well as the United States. Since Civilization first was established, most of humanity has lived in an east-west band stretching from East Asia to Western Europe. The 21st and 22nd centuries may correspondingly see China, India and the Mediterranean basin becoming more desert-like, whereas other regions on the other hand can become more hospitable, for example Scandinavia, Northern Canada, Siberia and parts of the southern hemisphere. Thus, a shift in the habitability of the Earth’s regions could lead to a mass migration of hundreds of millions to billions of people, which forever could alter the geographic distribution of the human race. Between the beginning phase of the Kyoto negotiations and the signing of the Paris Agreement in December 2015, two decades have passed by. During that time, more emissions have been added on, as the debt-based monetary system requires growth and the technologies available today which creates the fastest growth rates are based on non-renewable energies. Thence, while indeed the usage of green technologies have grown, they have not grown at the expense of fossil fuel-technologies, but rather their growth have been concurrent. There are two problems with legislation aiming to curb climate change. The first one is the aforementioned fact that our leaders are bound to a growth paradigm, and the second is the fact that the Earth consists of 195 countries. Regarding some issues, like for example a failure to abide to the needs of economic globalization, sovereignty is seen mostly as a matter of inconvenience, while other issues, such as keeping up emission rates, are met with far more understanding than not wanting to partake in international trade agreements. 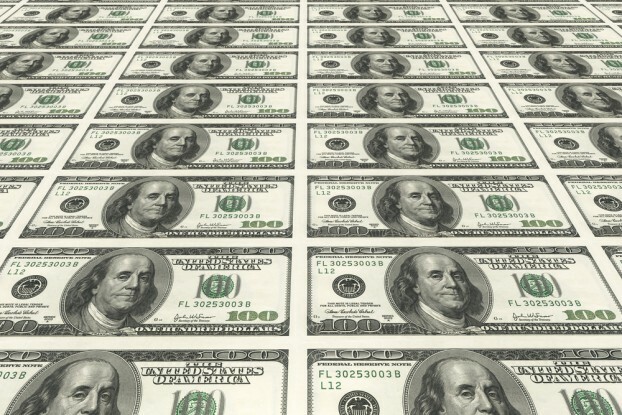 Ultimately, the absolute majority of the states on Earth, to not speak of businesses, are invested in a global socio-economic system based on fractional reserve banking, which means that in order to pay off ever increasing debts, we find ourselves in continuous need to create conditions so favourable as possible to exponential economic growth. This system is also seen as the best potential system we can have, and economic growth has also an ideological foundation. Most of the states on Earth are not nation-states but rather former colonial territories, composed of multi-ethnic, multi-religious communities. In such states, the main legitimising factor for governments that are both simultaneously weak and authoritarian, is economic growth. You may have to long for buying new shoes, but your son may buy himself a bike. This means that climate agreements are meeting far more resistance from both business, lobbyist groups and governments keen to keep up economic growth, than for example free trade agreements. The Kyoto Protocol failed because the Bush Administration refused to ratify it. The Copenhagen Summit is widely considered a failure. 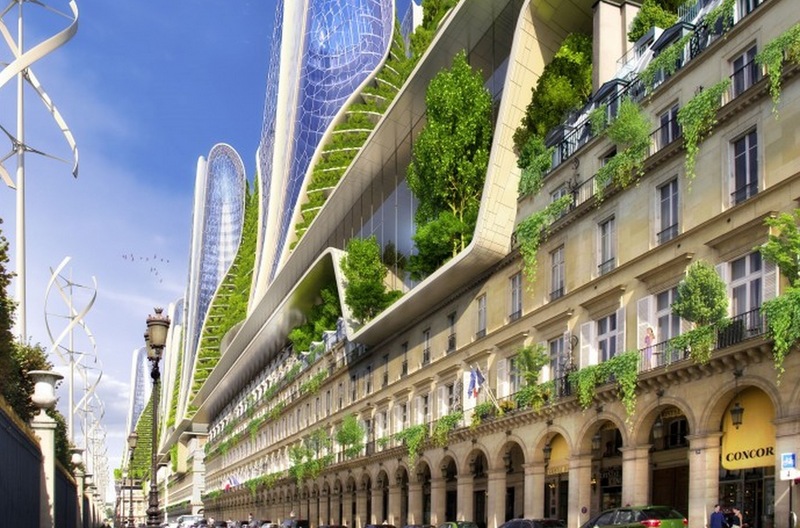 The French government therefore decided on a strategy where the emphasis was put on the goal – that the temperature may not increase with more than 1,5 degrees Celsius (0,5 degrees under the 2 degrees Celsius seen as the threshold for global warming). All countries partaking under the Paris Agreement have bound themselves to find ways to reduce their emission rates, but the Agreement doesn’t specify how or with what means, and does not at all install any controls or punishments for participants violating the agreement. On the other hand, if the agreement had contained more binding resolutions, specifications and relinquishment of controls, it would have been rejected by a significant number of countries. So in short, the choice was between a broad-sweeping but shallow agreement, or no agreement at all. Most analysts hope that green energy and green technology can help making the shift towards sustainability while economic growth is preserved. While we have reasons to be hopeful due to the increase of the usage of solar panels, wind turbines and other forms of green energy, green energy is only a part of the puzzle. Most of the emissions today are within the meat industry and transport, and the growth of green energy has not contributed so much to the decline of the price of oil. Rather, while the demand of oil has grown, the supply has grown even quicker due to the ascent of North American shale oil and the response of the Gulf States to dump the price of oil by increasing their supply. What we are seeing behind the curtains is an oil war initiated by Saudi Arabia and directed against both the USA and Russia. While this has hurt all oil-producing states, oil consumption overall is increasing. What stands clear is that emissions may be reduced regionally, but globally they will still pose a threat. The kind of exponential economic growth intrinsically connected to the current system is – through the invisible hand of the market – seeking the paths of least resistance. Innovations and ambitions can alter this balance, but the balance in itself under the current paradigm is problematic. Therefore, while supportive of green technologies and aims to curb emissions, I remain skeptical of the ability of achieving the objectives of 1,5 degrees without putting under question the ideological predominance of the current socio-economic system. The current system is collapsing, or rather in its very design it is a system under constant collapse, threatened to be choked by the mountains of debts that it is pushing before itself. It can only survive by cannibalising the Earth, generating economic growth, but the more growth it generates, the more growth it has to generate. Thus, growth numbers tend to decline as demand shrinks and the economy grows, creating stagnation which means that new markets have to emerge in order to fuel the constant need to pay interest rates to the banks which simultaneously function as both the parasites and the creators of the system. If we do not question the wisdom of this, we will continue to destroy the Earth. The problem is that arrangements like the Paris Agreement, the surprisingly – in relation to the scope of the challenges before us – toothless and impotent treaty, are not only unable to criticise the system which all participants have invested themselves in, but also to propose far-sweeping efficient measures to combat climate change. Of course, for maximum efficiency, most of the transformation must necessarily occur at the grassroot level, though the creation of municipal solar panels, neighbourhood greenhouses, car pools, the upgrading and upcycling of means of transportation, increased consumption of locally produced goods and services, and increasing the autonomy and resilience of local communities overall. Education of both young and adults is also necessary. However, we cannot move towards that and a globalized economy of the kind the proponents of free trade agreements like the TTP and the TTIP are dreaming of. One particular thing that definitely is conflicting between the kind of free trade agreements that are proposed today and long-term sustainability is transportation. If we want to reduce emissions, we need to install carbon pricing on goods and services, so the price starts to reflect the environmental cost. Goods that are produced far away would need an additional price tag. This is not the same as a punitive tariff as it will be imposed in relation to distance rather than national borders in themselves. Massive investments need to occur in public transit systems (and in sea walls). 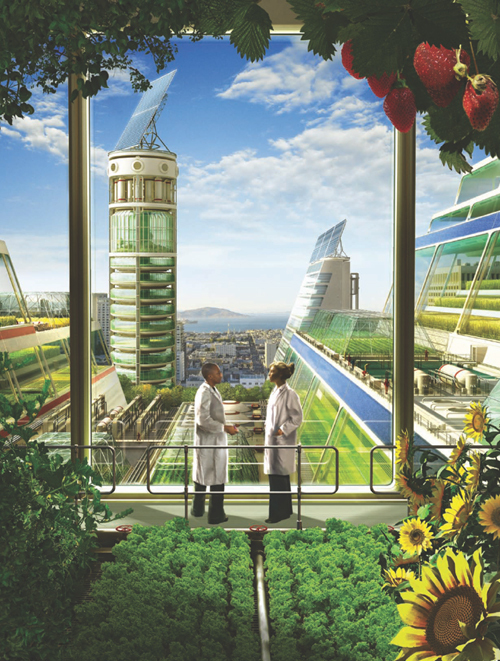 We need to gradually shift ourselves away from Suburbia and create more concentrated urban habitats which also should have an ability to sustain at least a part of their own food production potential through vertical farming. We need to massively reduce our dependency on meat, and then especially red meat, since it stands for a significant chunk of the emissions. This means that meat must become far more expensive, to pay for its share of the environmental damage which it causes. More trees will have to be planted, at the expense of mono-cultures and grasslands. We should probably even build floating platforms on the seas and grow trees on them. All plants are breathing carbon dioxide and binding it before releasing it and returning it to the cycle when they die. Trees have the benefit that they can live for centuries, and therefore they can bind carbon for significantly longer amounts of time. The ideal would be if we could approach the number of trees which the Earth contained during the Stone Age, meaning that we would have to double the amount of trees to 6 billion. These are but some of the actions that should be considered, and where governments on the local and national level could play a significant role (and should play it, especially regarding preparations for moving entire cities). Ultimately, we have shifted the Earth’s climate development. What we need to do after we have stabilised it is to establish a long-term strategy to manage it, using carbon dioxide, oxygen, vegetation and technology to both monitor and gently steer the climate, both to prevent future disasters generated by us as well as managing the human civilization and the eco-systems through large-scale natural disasters such as meteorite impacts and super-volcano eruptions. This would require some form of global administrative system, and signals that we are moving towards a Type-1 civilization if we manage to answer to the challenges of this century. Therefore, the public discourse should not focus on the coming five years, but the coming five decades at least. Yesterday, I frequented a climate event in Umea, and had the privilege to watch This Changes Everything, of course streamed from a computer to a cinema screen. All those watching the improvised movie theatre left with sense of optimism and feel-good hope in their bellies. Sometimes, there can be a refreshment in bluntness. So, I would put forth my points in a very rash and frisky manner. I think ‘This Changes Everything’ is basically just stating what documentaries on the subject of Global Warming have been stating for the last twenty or so years. Technically speaking, it is probably one of the best documentaries on the subject as of yet, filmed with HD cameras and tying together the issues of global warming with the de-facto disenfranchisement of local communities. Still, I do believe that documentaries like these can do more harm than good, especially as Naomi Klein, one of the two producers and the author of the same book, have failed in defining the real problem with contemporary Capitalism. Therefore, this entry, rather than being a whole review of the film, will focus on the issue of Naomi Klein’s background and how it can have influenced the film. Naomi Klein, a journalist and author from Canada, became well-known within the Alt-Globalization Movement of the 1990’s, as a critic of the type of economic globalization which went into a new phase during that decade. In her breakthrough book, No Logo, she made an ardent work visualising how multinational corporations are exploiting the absence of worker’s rights in third world nations, and how logotypes have turned into mythical symbols within advertisement. Naomi Klein is highly critical of the economic school of monetarism – most often referred to as “neo-liberalism” by its critics – and generally is positively inclined towards protest movements against austerity, natural resources exploitation and anti-war sentiments. All this is highly evident in “This Changes Everything”, and if you have read Klein before watching the film, you can be able to predict everything in it. That is not where my critique against Klein lies. Klein’s thesis in ‘This Changes Everything‘ is that the Scientific Revolution of the 17th century created a culture where we view nature as a resource to be exploited and the Earth as a “machine” that we have the power over and can manipulate as we want. This is also the reason behind for example the addiction to growth. According to Klein, growth addiction is an example of a political choice that is ideologically structured and follows the principles of Capitalism, which in itself flows from the Scientific Revolution. As a conflicting principle, Klein presents the aboriginal principle of ‘the Earth as a nurturing mother’ and the principles of democratic sovereignty (hailing back to the populistic practices of Gaius Gracchus). While not directly mentioned, it is indicated that the Scientific Revolution and Capitalism are masculine principles, while Nature worship and Democracy are feminine principles. For example, most of the proponents for democratic activist movements interviewed in the film are female, while most proponents for the exploitative forces that are interviewed are males. Klein’s solution to the current problem is that the free market has caused these problems, and the solution should be to increase government interventionism and regulate the market more. Since the governments (according to Klein) do not desire to follow such policies, activist movements would have to protest and stop mining projects and then move on towards advocating public investments in green technology – solar panels and windmills everywhere. Essentially, the solution is that people should protest to roll back deregulation to the 1970’s, while deepening democracy. Klein is essentially right, or rather moving in the right direction in her critique of the current system. But her solutions are essentially flawed and (I would claim) build on several misunderstandings and ignorance. Naomi Klein makes three basic misunderstandings about the reality of the system we are living in, either because she herself has not studied these issues or because she deliberately omits to tell certain things which are essential to know if we truly want to change the system. The first misunderstanding lies in the nature of the environmental crisis. Klein focuses very much on climate change, but climate change is only one of five serious environmental challenges that are causing the current mass extinction as I write these words. The oceanic crisis, the soil crisis, the freshwater crisis and the biodiversity crisis are as serious for the well-being of life on Earth. Green energy won’t solve these problems, and emphasising this issue will block out public understanding of the other issues. I believe it is essential to see antropogenic climate change as a part of a wider environmental crisis caused by the current system. The second misunderstanding lies in Klein’s understanding of free markets contra government intervention. It seems that Klein has a very binary view on the system, which can be understood as ‘government intervention good’, ‘markets bad’. What that fails to account for is that both governments and private businesses operate as economic actors with the goal of creating economic growth. Keynesian economics have nearly exactly the same goals as monetarist economics, namely the stabilization of the growth curve to ensure stability for investors and economic growth. Keynesians want to focus on low unemployment, while monetarists see inflation as the main threat to the well-being of an economy. To a large extent, deregulation has been caused as much by technological development as by political choices – in an evolutionary process within Capitalism itself. The third, and most serious misunderstanding, is the idea that economic growth primarily is an ideological choice, and that by consuming smarter and changing the ruling ideology from Liberalism to Green Social Democracy, we will have started to save the Earth. The core of this lies in that Klein omits to put focus on the nature of money within the framework of modern Capitalism. Ultimately, money today is Debt. Within the banking system, banks only need to keep a part of the money of their clients as deposits, and can loan out the rest – as illustrated by the image above. This means that from an original deposit of $1000, the bank can create an additional amount of money several times larger than the original $1000. These loans from the bank have to be repaid with interest. Since both the loans and the interest is created from capital that doesn’t currently exist, this demands that the capital is created. And most of that capital is created from turning parts of the Earth into utilities for the market. This means that the current system both demands a constant growth rate and the continued transformation of the biosphere into linear production units to satisfy the demand for exponential growth as seen in these oil palm plantations in Sumatra. For a more comprehensive description, see this entry. I hold no doubt that Naomi Klein truly believes that the current situation represents a mortal threat, but I suspect that she also is emotionally invested for other reasons in moving away from monetarism towards neo-keynesianism. The problem is of course that neither of these two systems are able to solve the current ecological crisis. Now it is possible to claim that different documentaries should focus on different issues, and that nobody can focus on everything, but by many small groups focusing on different issues, we will together solve the problem and making the world a better place. The problem is of course that ‘This Changes Everything‘ is claiming to present the path-way to solve the entire problem of climate change, by connecting it to economic growth and questioning its ideological foundations. The thing is, economic growth is not an ideological choice, but a survival imperative for the current system. Therefore, no matter if it is monetaristic neo-liberalism or green social democracy, the system demands the repayment of debt, and in order to repay the debt more resources would have to be transformed to utilities. If the shark doesn’t swim, it drowns. Omitting the ‘shark in the bath-tub’ is a disservice, since it doesn’t correctly informs activists about the true nature of the socio-economic system and keeps them preoccupied with trails of thought that only move around in circles. I am truly impressed by the engagement of First Nations activists who protest against the tar sands in Canada. I also share Naomi Klein’s sentiments that the reason for our destruction does not lie in human nature. Yet, I think that any failure to mention the problems with fractional reserve banking is going to hurt all those people ultimately, since even if they achieve their political objectives, they won’t be able to change the system if they don’t understand it. Right now, the air is buzzing with the rumours of the next financial crash. This is starting to become an autumn tradition in the more conspiracist camp. The Petrodollar is going down, it is time to invest in gold, weapons or canned food. This time, however, even mainstream newspapers are warning for an impeding financial meltdown – which everyone with the slightest understanding of the current system and of Fiat currencies know is inevitable. At the same time, we must bear in mind that a Fiat system can theoretically be rebooted by the addition of credits which are pumped into the finance industry. When these credits are not corresponding to what increased growth rates are needed, another financial crash will happen, a recovery occurs and the economy stabilises for shorter and shorter intervals with higher and higher structural unemployment as a result. As long as there is reason for faith in economic activities, the system can be rebooted again and again, despite its glaring similarities with a pyramid scheme. There is a relationship between the Fiat economy and the Real economy, though it is often vague and the two systems are standing on different foundations. While one rests on human estimations, gut feelings, optimism and wishful thinking, the other simply is. This entry will be about what the Real Economy is, and what consequences it will have running it to the ground. Sadly, one of the aspects of the Fiat system is to incentivise economic behaviour that is serving to run the Real Economy into the ground. Since the Cambrian explosion, the Earth has formed complex multi-agent biospheres that are built around Earth’s natural cycles (sunlight, perspiration, rainfall, seasons), but which also are building themselves by slow but mostly continuous increases in complexity. For all what matters, to have a human economy demands interaction with the Earth’s biosphere, and human activities will affect the biosphere. Thus, the human economy cannot be seen as something separate from the biosphere in itself, but is essentially a part of what builds this planet. 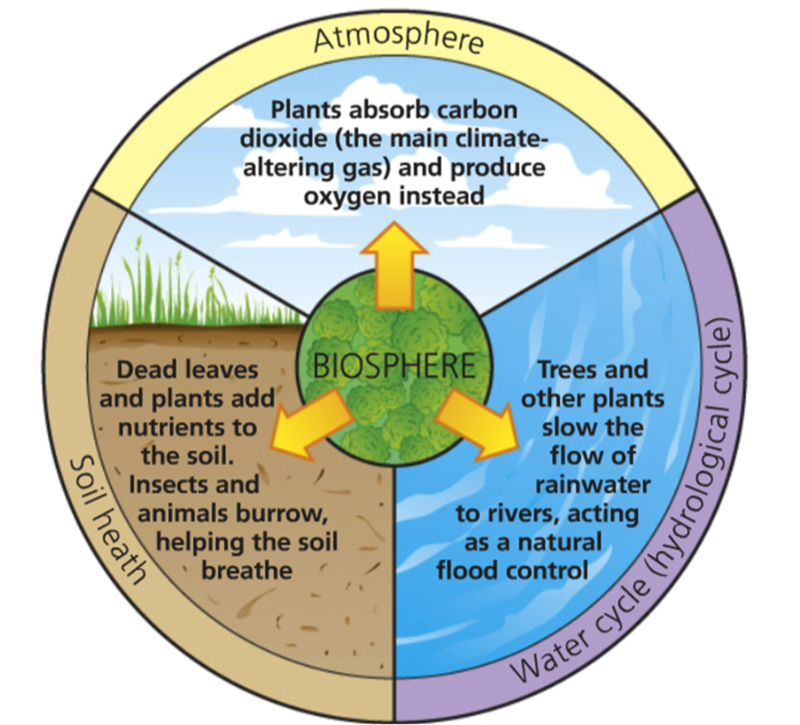 This also means that the biosphere will affect human well-being, and that this well-being depends very much on how we treat the systems on the planet that are making the biosphere possible. Ultimately, what we need now is to unlearn the cosmology of Individualistic Consumerism, and to approach the issue of what the economy is by looking at total resource flows and not just focus on the human activities. The Real Economy is not linear but a multi-agent system, meaning that each species and each individual is both on the receiving and returning end of the system, and the purpose – rather than growth – is for individuals and species to survive and improve their survival skills within this context of existence. The system is interdependent with the soils it has created, with the groundwater and rainfall and with the climate it is engineering. The cycle of ice ages and warm periods are partially affected by the amounts of trees, binding greenhouse gasses. Colder periods lead to a drier climate which in turns lead to forest fires that are releasing carbon dioxide into the atmosphere, increasing the average temperature. This leads to a moistlier climate that grows forests and bind carbon dioxide, slowing down the increase in temperatures. A growth in the amount of vegetation increases the number of herbivore species, which creates a good opportunity for carnivores to increase their numbers as well, until the collapse of the herbivore population allows the flora to recuperate. As the carnivores are decreasing in number, herbivores can return to the fray. This is the real economy. It has existed since time immemorial. As it gradually grew, it has transformed itself from a few one-celled organisms stewing in a primordial soup, into a vibrant dynamic equilibrium that can recuperate from mass extinction events such as the Cretaceous-Tertiary Meteorite that wiped away the dinosaurs. This economy is characterised by a slow, gradual increase of biomass and of complexity, off-set periodically by extinction events which could have destroyed complex life on Earth. We can imagine a countless, countless number of Earths out there, tens of thousands of light years from us, where life has been wiped out by meteorite impacts, volcanoes, supernovae or climate change. There is perhaps an even greater number of worlds where life has never evolved beyond single-cell or even sub-cell organisms. It is truly a miracle that our Earth has survived five mass extinction events and has built six biosphere regimes. And this Earth is what allows you to live, to breathe and to aim for your objectives. The economies of human civilizations, no matter how they look like, have all been dependent on the Real Economy, the Biosphere, and are thus – no matter if they want it or not – a part of it. Often, we hear that many western economies are suffering under public and private debt, which can either be solved – within the framework of Fiat currencies – through either stimulus (to create growth that can allow us to grow the economy) or through austerity (cutting back the provision systems for the weakest members of society to save money). Often, these two policies are following one another, first a stimulus to the financial institutions taken from the tax payers, and then a punishment of the tax payers and the poor by tax increases and welfare cuts. In the long-term however, only one deficit matters. That deficit is marked by the Earth overshoot day, the day when our resource usage exceeds the ability of the planet to provide for our demands without the global biomass and biodiversity shrinking. This means that we have a global ecological deficit, which has grown above the limit since the 1970’s. 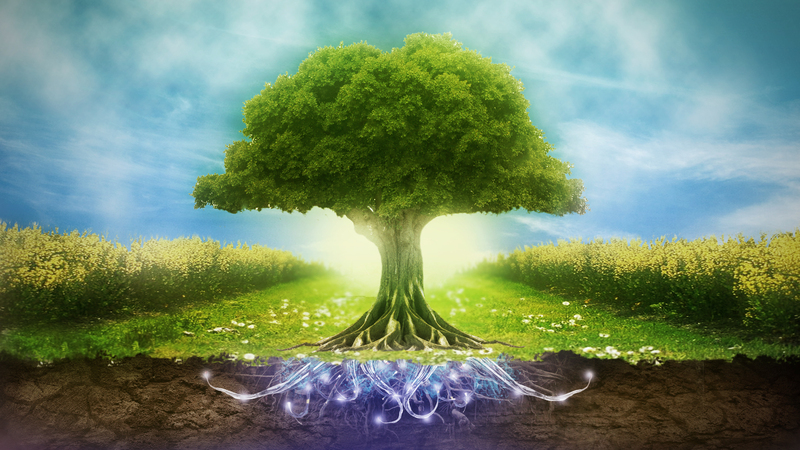 Five of nine vital life-supporting systems underpinning the biosphere are today being ravaged by the need for infinite exponential growth caused by the credit-based fiat system. The climate is being disturbed, the soils and the freshwater reserves depleted of nutrients, the land-based eco-systems are being outcrowded by artificial, linear production areas, and the oceans are being outright sexually molested. All of this means that we are heading for a sixth mass extinction event, caused by our current civilization, within the next 100 years. The root cause for this is actually what we think of as our “economic system”. The creation of “money” is – through fractional reserve banking – preceding the actual creation of capital. That means that our current system is reliant on credits, meaning that for the system to survive, money must be used to increase economic production, by creating demand for products and satiating said demand. A reduction in growth rates is not enough, since the growth must at least follow the increase of the amount of debt in the system, otherwise interest rates will go up and the social stability of the system will be threatened. Thus, the system in itself incentivizes economic activities that are destroying the Biosphere, and is rewarding behaviour that strives to minimise costs in terms of investment and maximises outcome. Environmental Economics of the type where the needs of the Biosphere (i.e the needs of Life on Earth) is placed below the needs of maximising economic growth, are a consequence of the perverse idea that an economic system which has developed for around 200 years is more essential that an economic system that has existed for 65 million years. Economic growth has one good effect, and that is an increase in living standards. The only good argument left by growth proponents is that within the next 50 years, a person earning €1,25 today would earn €5 instead (and afford a car). That is however offset by the fact that economists generally have little knowledge of how much damage our environmental destruction would do on our eco-systems in the long run, and that the system will invariably collapse. Energy Accounting is described in more detail in the article linked herein. We do not know how it will work out in real conditions yet, which is why we must test it. There are potential drawbacks and bottlenecks as well. The goal with Energy Accounting is however not just to install itself, but to fulfill three criteria which we need to fulfill to have a sustainable civilization. Thus, Energy Accounting is designed as a tracking system, to keep an overview of the resource flows of the planet. It is designed as a post-monetary currency which aims to create a better balance between demand and supply – through creating a system where things do not have to be produced before there are willing users. It is also designed as a system which factors in the demand and supply curves of the Biosphere itself, thus incentivizing economic actions that are either neutral or beneficial to the well-being of the planet, while penalizing actions that are damaging to it. Within the Earth Organisation for Sustainability, we are aiming for the testing of Energy Accounting, to see how aspects of it can work and how we can improve our Design. We must – as a movement – always strive towards focusing on the Real Economy. While we must accept the existence of the crumbling Fiat system for now, we must work towards a transition away from it, by transitioning away from looking at the world through the lenses of the City of London and Wall Street. The Fiat System ultimately relies on faith in its regulations. It will crumble, probably faster than the Biosphere itself. The challenge is to transcend the worldview where the greatest potential disaster is a stock market crash and a massive hike in unemployment. How we do that is not primarily by questioning or accusing or being obsessed by the injustice of the current system, but by instead laying our focus on the Real Economy, and how we as a species are embedded in it and how most of us for the foreseeable future will be dependent on it. That does not mean that we should not focus on social issues, but that we must find a way to integrate social issues into the narrative of the Real Economy. The Earth Organisation of Sustainability does not deal with the binary world-view of eco-systems contra humanity. Instead, we view Life in itself as the most valued and cherished concept. Thus, what is good for the Biosphere is good for you, as an individual, and for us collectively as a species. We must as a civilization make a conscious choice to accept the truth – that we are a part of the Biosphere and that we need to model our civilization in a manner that integrates it into the Biosphere and integrates the Biosphere into the infrastructure. This also means a life-positive outlook, where we have an obligation to design our societies so they allow individuals the freedom to express themselves, create, form their lives and achieve safety, meaning and liberty. After all, as a system, the Biosphere strives towards more and more diversity and abundance. We should definetly try to mimic the beauty and splendour of nature. The craddle of life on Earth can be said to be found in the blue. For many hundreds of millions of years, the ascending continents of the young planet were as dead and barren as the wastelands of Mars, while the oceans and lakes were teeming with life. Water was the solvent in which the first life-bearing cells emerged during the chaotic epochs after the birth of the Moon. From a world fraught with volcanic eruptions, a poisonous atmosphere and constant meteor storms, Earth has evolved into a planet able to create complex and beautiful life-forms, forming an ever-changing and ever-evolving biosphere. Much of the freshwater reservoirs have accumulated during millennia and are ensuring that the plants have enough nourishment to produce and renew soil and to establish the foundations for complex ecosystems to exist within. Today however, we have destroyed or are on the verge of destroying a third of the world’s freshwater reservoirs. 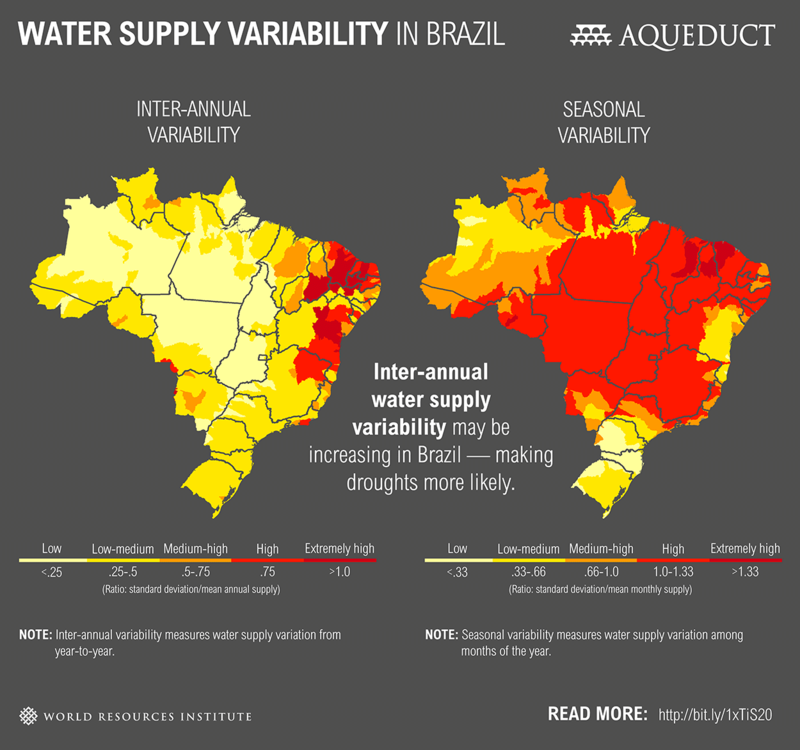 Many regions of the world, such as the Middle East and South America, are already experiencing social upheaval in relation to water depletion. China and India, the two most populous nations on Earth, are also experiencing water depletion on a massive scale. This presents two kinds of challenges, one which is really long-term and the other which is relatively short-term. The first challenge relates to the fact that in the long-term, depleted freshwater reservoirs create a drier climate, meaning that fewer trees can grow, which leads to soil erosion. 5000 years ago, the Middle East and the Southern Balkans were largely forested regions, which gradually became more and more arid due to massive irrigation projects by city-states and hydraulic empires (aided by climate change). The same process is repeating today in Brazil, the United States, India, China and Central Europe. The second challenge is how billions of people in the future should be provided with water for drinking, for hygiene, for cooking and for other activities, while eco-systems should be taken cared of to ensure long-term survivability. This will be one of the most important issues for the Earth Organisation for Sustainability in the future. Our challenge, as always, is how to be able to weigh the needs of today with what the environment needs in order to stabilise, and how to ensure that communities can participate in this process. There is not one singular solution to the challenge of freshwater depletion – rather there must be a transition process which is on-going and is coordinated between five distinct areas. The areas in this regard are all equally important, though emphasis has to be put on different areas depending on the local and regional pecularities of distinct regions of our planet. ~ Short-term solutions, policy-based and social. Rationing, water salvaging, public education regarding water treatment and stimulation of local projects. ~ Medium-term solutions, infrastructure projects, construction of artificial aquifiers, aqueducts and water salvaging plants. Migrations and redistribution of population. ~ Long-term solutions, the creation and re-terraformation of depleted regions by the (re)construction of destroyed eco-systems or new eco-systems. Monitoring of the process. ~ Research, time investments into technologies that can make desalinization more cost-effective, new technologies for recycling and upcycling water quality, reducing the need for water in home appliances and in infrastructure overall. ~ Ensuring the dignity of communities and a fair distribution, namely that the affected populations themselves are having democratic influence in the process of how their transition process should be managed and how much they want to participate in that management. We have largely been treating water as if it was air – as if we could use as much as possible of the groundwater and then… well, not having to think about the management. Sure, in most developed nations, there is water management, which works more or less well (the Nordic countries are generally very high up on that scale, with drinkable tap water and very large and unspoiled reserves of ground water, with hundreds of thousands of lakes). In the future, there is a profound risk that we – at least in some regions – would have to treat water in a way similar to how we would endure on a Mars base, namely by careful management and a circular hydraulic economy, where water is moved from household appliances and infrastructure to large aquaponics facilities, where rainwater is gathered, filtered and cleaned and utilised within the habitat, with zero to little usage of aquifiers. In fact, we should move towards minimising our usage of groundwater, instead focusing on water recycling, rainwater usage, water from rivers (though we should be careful with river water as well and have systems that can replenish the water to the rivers from the base). Urine may have to be filtered and turned into drinkable water again. In terms of personal usage, this would probably entail local water regulations where people are given either a water quota for a community tank, or their own individual tanks where they could use water. A lot of the functions that today are individually allocated might have to become communal, like washing clothes, bathrooms, kitchens and so on. When two or more distinct communities are sharing the same source for their water, there needs to be a form of common management or at least transparency and concord between these two communities, thence holons should be formed for these tasks. In particular cases, there might be needs to transport water from either deep aquifiers (like the Sahara aquifier) or from regions with abundant water reserves to regions where water shortage threatens the survival of hundreds of millions, and can cause the collapse of over-stressed communities. This can be achieved through the construction of closed aqueducts or water pipelines, and must be managed both by a convent of representatives of the affected communities, and a technical authority managing the infrastructure of such projects. 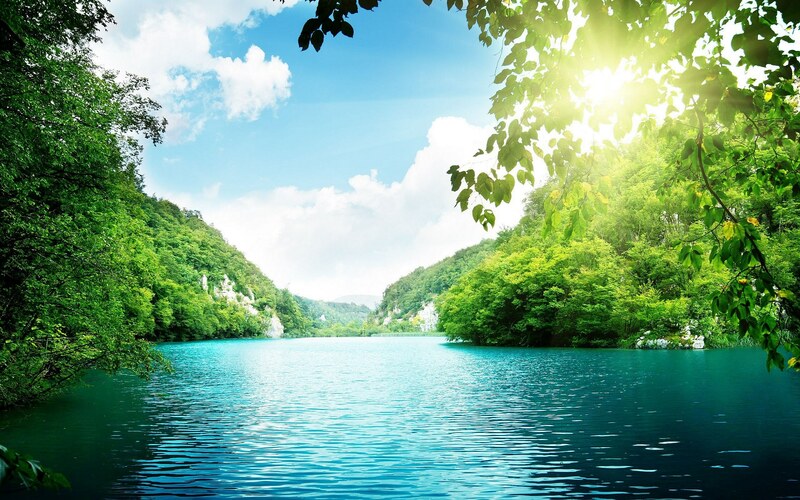 In some cases, the Earth itself may have to be transformed to construct fresh-water lakes with adjacent forest eco-systems to form the basis of medium-term water sustainability in the social term. Or, we might even need to consider large-scale migrations, for example from the United States into Canada, from China into Siberia and from the Mediterranean countries into north-eastern Europe, in order to alleviate the resource stress on China and the US by distributing the population more evenly, as the polar regions become more habitable due to climate change while the temperate regions become less able to provide for their population. This would also reduce the need to transport water from the north to the south, by instead making it possible for people to migrate from the south to the north. Another project worth considering is to create closed-loop rivers in Sahara and then form communities around them, where people from Africa and parts of the Middle East (and even from flooded Islands like the Maldives) can settle, in oasis city states built alongst a string of pearls in the vast Saharan desert. Lastly, the final two areas for human resettlement are Antarctica and the Oceans, and both represent technological challenges in terms of how to attain enough water to supply significant populations. When we in the EOS are talking about long-term solutions, we mean long-term, in terms of 10.000-50.000 years. This means partially that humans would have to live in different forms of communities. Mega-cities housing tens of millions of people should not be subsidized as an ideal form of life, which they are in today’s exponential growth-oriented model. Neither would a massive, evened-out distribution of the population be a good solution, since it would wipe out forests and eco-systems. The ideal would be concentrated inter-linked communities ranging in the thousands, though there would be no forced population redistribution. The first thing that needs to be done is to ensure that our biological waste is used to renew soil cultures, or to build new soil cultures where old ones have been depleted. This means that we should not put our waste in the oceans or in lakes, but instead use human manure as a valuable resource to be utilized as a part of recreating and strengthening soil quality. What we term as waste from mines can also be valuable, since rock often contains important resources that increases the nutrition levels. We need to ensure to reduce soil erosion, both by the construction of terraces and especially by the growing of plants, allowing eco-systems to take hold. 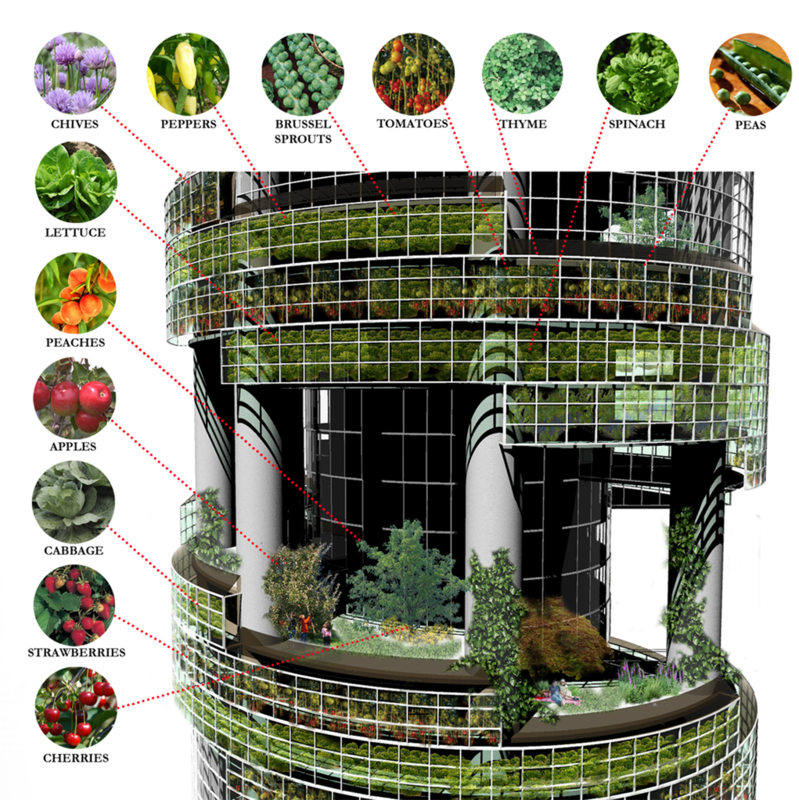 We need to move away from mono-cultures and grow food more vertically and within the confinements of urban centres. Of course, it is not possible to remove all mono-cultures, but we need to reduce the amount significantly over a long span of time. 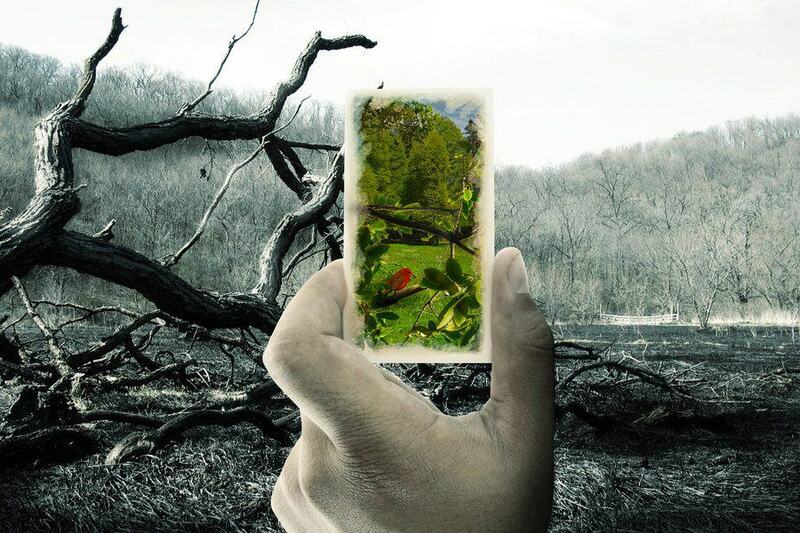 If we cannot reestablish eco-systems that have been lost, we must see whether we can build new eco-systems to compensate for the lost ones, and if these new eco-systems would have a positive impact on the Earth’s biosphere. And – a lot of this means that we have to create more preserves where human-oriented activities are minimised, and that we let these preserves be untouched for hundreds of generations, that said – until a new equilibrium is established. 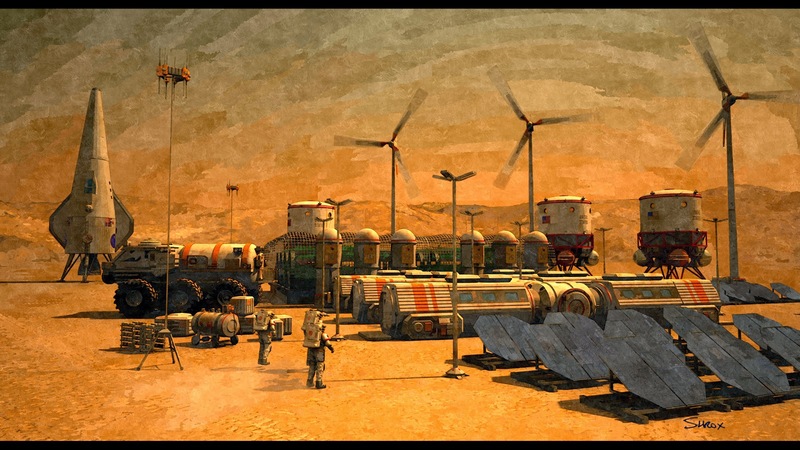 There is much valuable research done today within the space industry, regarding the effective usage of water in order to create self-containing artificial eco-systems and provide food on space stations or on Mars bases. This technology can also be applied on the Earth in order to salvage resources and increase our resilience. However, the technology needs to become more energy efficient and as ecological as possible without compromising the values behind. The things envisioned to be used one day on Mars should also be utilised in villages in Morocco, Honduras or Kerala, and thus the knowledge must spread horizontally in an exponential manner (there can EOS be of immeasurable help, by providing educational programmes aimed towards local communities). Desalinization should also be investigated, and an emphasis should be put on making the process cleaner, more effective and cheaper in terms of resources and construction. Especially within small-scale appliances, a focus should be made, so that every home in a community can contribute to the process of turning saline water into freshwater. A third area is in terms of the development of household machines that use less water, either by design features or by the usage of more advanced technology, for example smaller treatment plants and the integration of treatment plant infrastructure into the modular features of future homes. 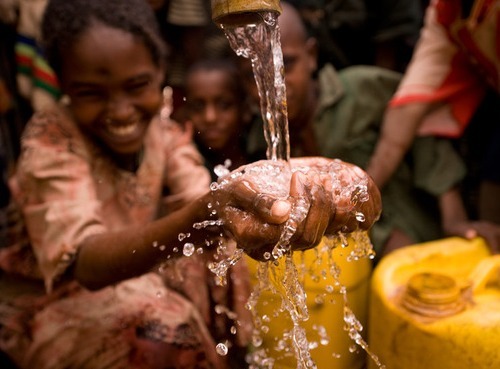 To this we can also add technologies that can treat infected water and clean it. Lastly, we should not omit to mention the integrated features of intelligent cities, which can be used to predict the usage of water over long-term and come with proposals over how water management should be carried out. An integral part of what we in EOS are striving to create, is that people locally and regionally should be able to exert influence over their own destinies. This does not only mean to guarantee the protection of individual rights – both through a Constitution and through giving individuals the means to defend their autonomy – but also the protection of the rights of communities. An important aspect of this is that communities should bear the responsibility of the natural resources within their area – including water. This can be problematic though, because the irresponsible usage of natural resources is a great part of what is wrecking our biosphere right now and causing the Sixth Mass Extinction. 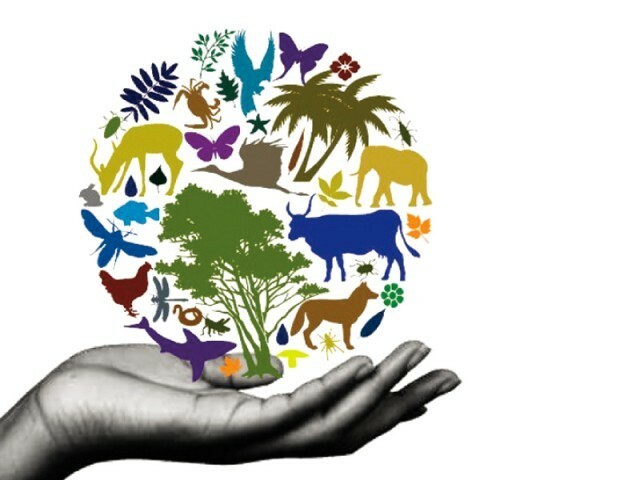 Therefore, there is a balance between the democratic autonomy of a community and their right to exert the main part of the influence on how natural resources should be used locally, and the rights of the Biosphere to exist and prosper. There is no fixed answer on how to resolve this potential conflict, but every local area is unique. What is important however is to identify needs, to establish a dialogue with the local community, to create management plans together with representatives of the local community, both political leaders, traditional leaders, economic actors, representatives of the civil society and the general public, and to include them in the process where holons are established to oversee aspects and manage aspects of the hydraulic infrastructure. The grade and depth of the management and the collaboration will vary between regions and areas. This also includes the right for the local area or region to withdraw from the cooperation or renegotiate. However, what we need to establish is a consensus and an awareness of how water usage affects the environment and how a changed environment will affect the future of local communities. Thus, EOS needs to act primarily as an educational organisation, while we need to incorporate the knowledge and wisdom of local communities and understand that situations need to be addressed with a sensitivity to the values and norms – in order to be able to canalise the force of the community towards the gathering of new knowledge that can be utilised to improve water management. Some new age spiritualists are claiming that we will soon enter the age of Aquarius, or that we have already. Aquarius as a symbolic figure is a human being that pours water – enlightenment – over humanity. It can be seen as an appropriate metaphor in one way, because if the knowledge of how much we have damaged our water reservoirs was better known, there would be a greater movement towards solving these problems. Some aspects of the article you have read may seem rather radical. The problem however is that the more we are stressing and depleting the reservoirs of water and soil needed to sustain a complex land-based supra-civilization as present-day humanity, the more radical the solutions would eventually have to be. The important thing to remember is that interventions must happen with the permission and active participation of local communities, and that they should interfere as much as necessary but not more into the livelihood of the people. Interventions can be intrusive, so therefore the most essential part of any transition is that the population is made aware of the nature of the situation, that the population is prepared for when interventions would happen and how far they will go, and that the public can affect the process and partake in it. Water must be managed in an ecological manner, but it must ultimately also be managed by the people.